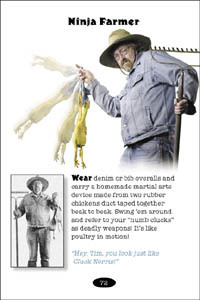 BUY IT NOW SECURELY ONLINE. 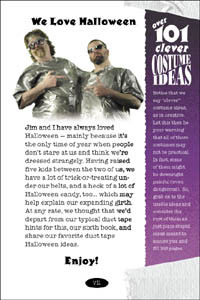 Click here to see a video that we shot during the photo shoot for the book. It's called a "B-Roll" the media picks up bits from it to roll into their news stories about the book. 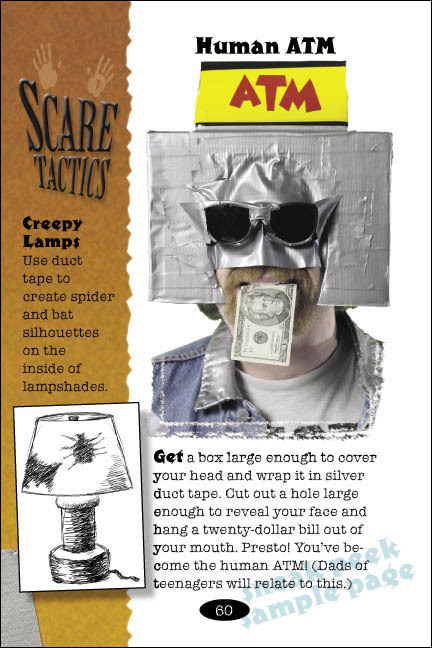 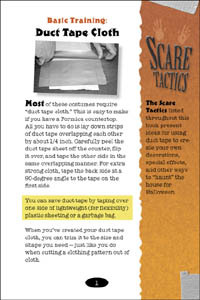 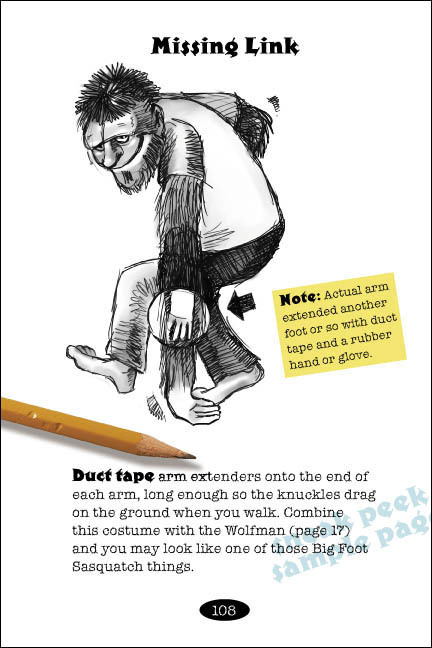 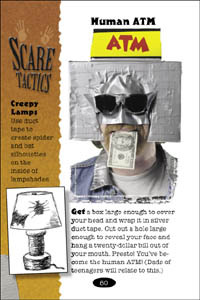 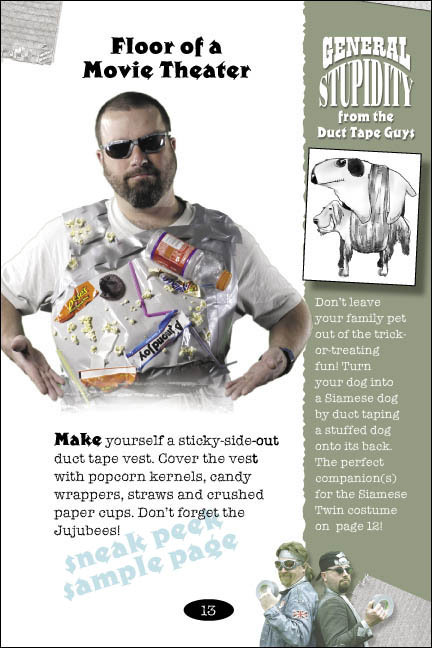 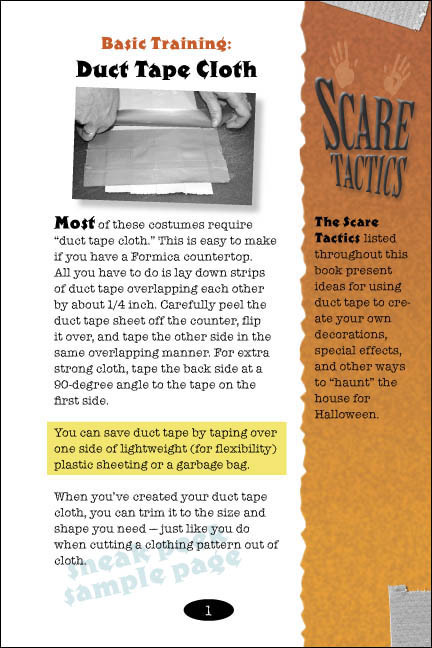 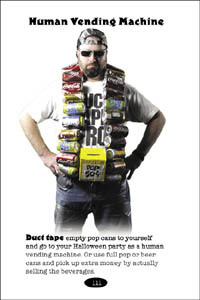 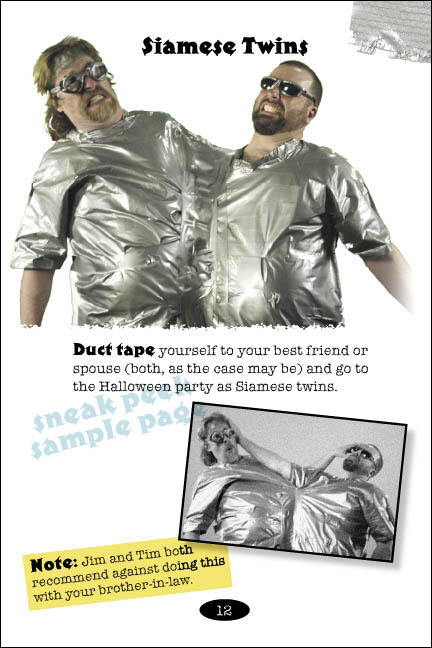 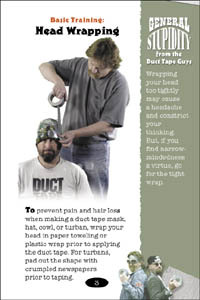 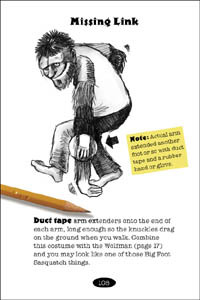 The Original Duct Tape Halloween Book contains basic training for making costumes out of duct tape. 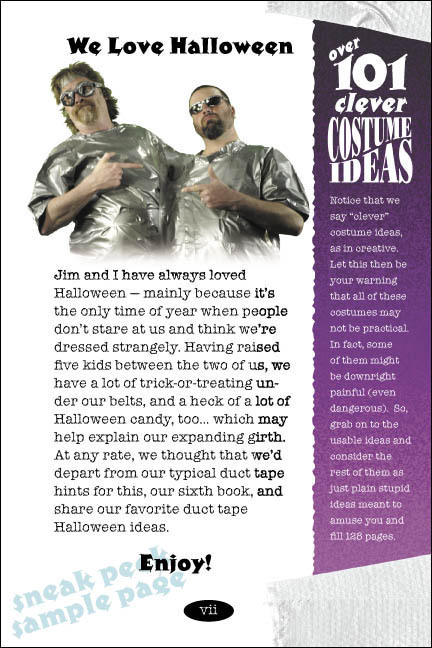 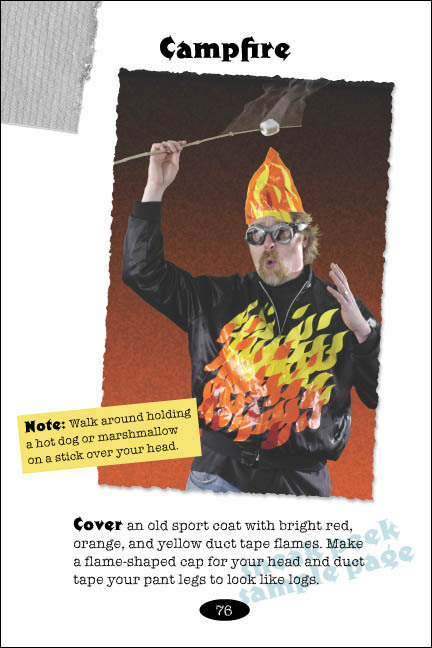 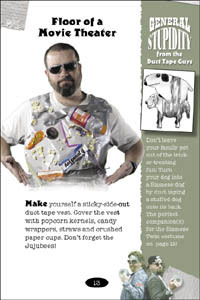 It features over 101 creative costume ideas including both "Big Deal Costumes" (above middle) that require more effort, and "30-Second Costumes" (above right) for procrastinators and those last-minute halloween parties. We knew that you would! 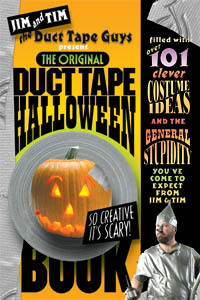 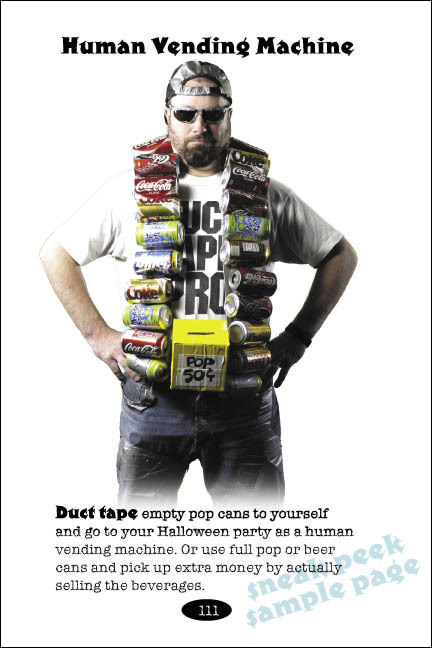 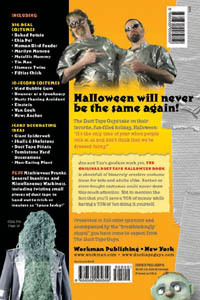 The Original Duct Tape Halloween Book is in stores NOW! 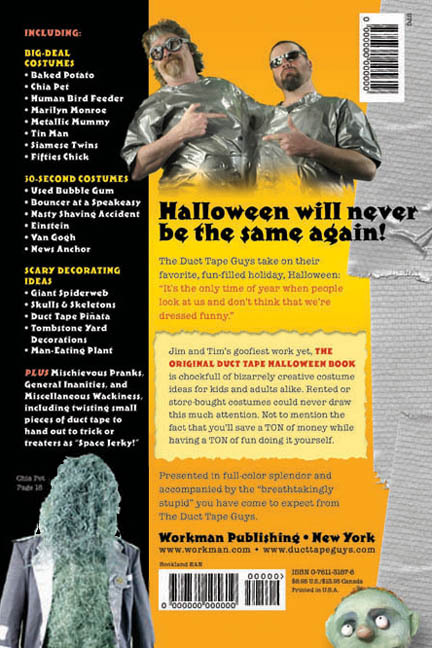 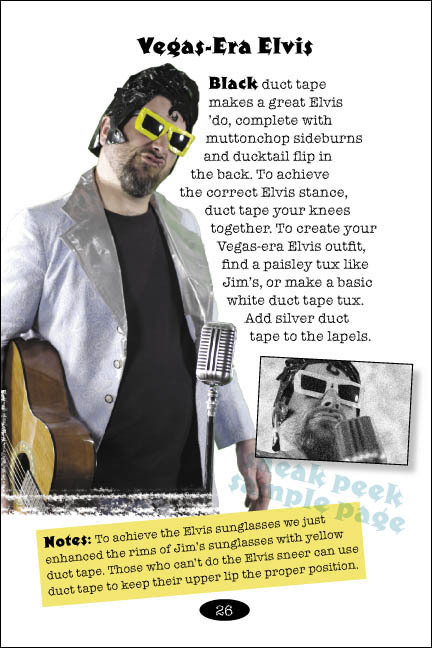 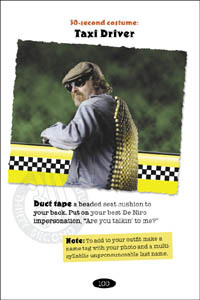 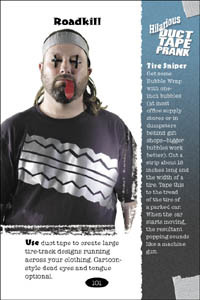 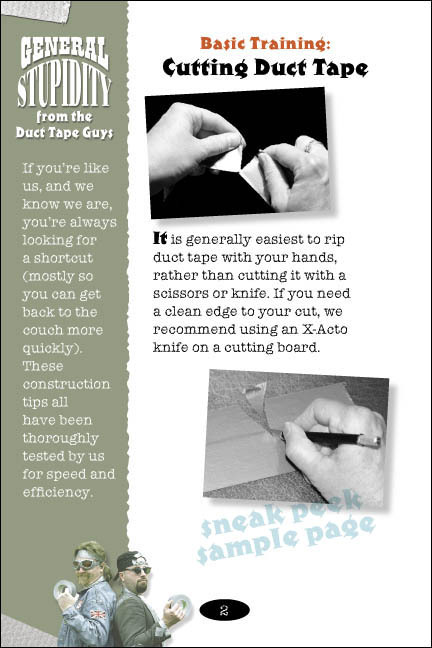 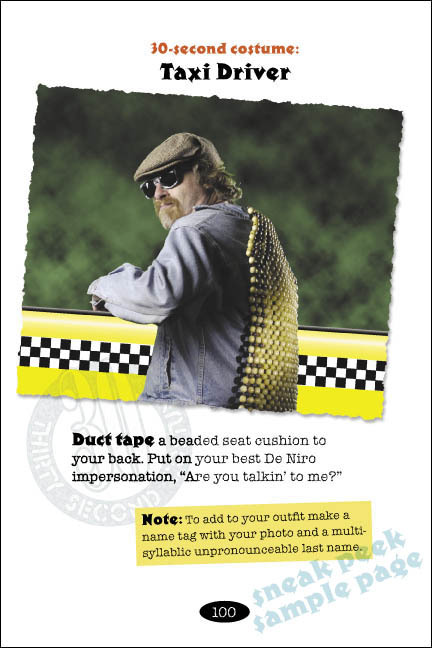 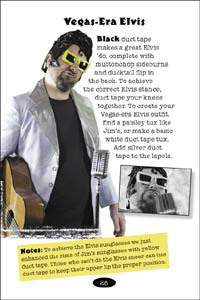 Or, you can order it online at the Duct Tape Pro Shop (buy online and get the book autographed and shipped to you with a collectable Duct Tape Guy cards). 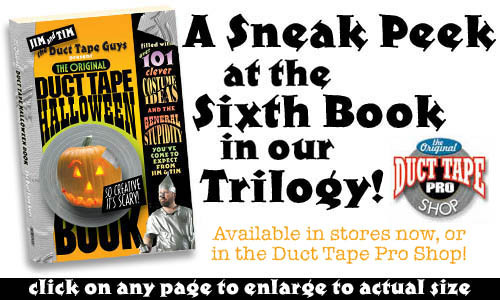 This is our biggest book ever! 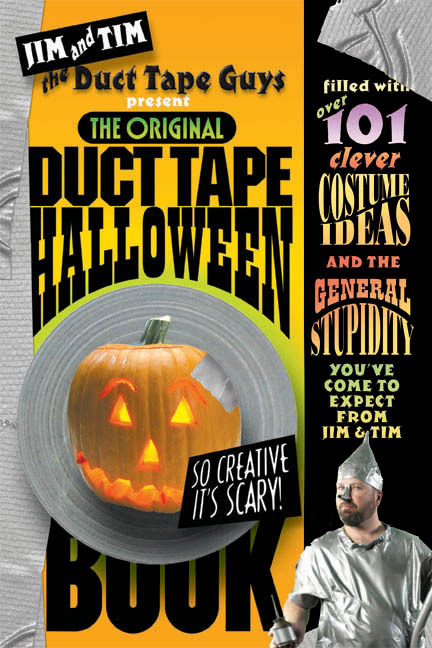 It's filled with our patented brand of Duct Tape Guy humor that has been labeled both "brilliant" and "breathtakingly stupid!" 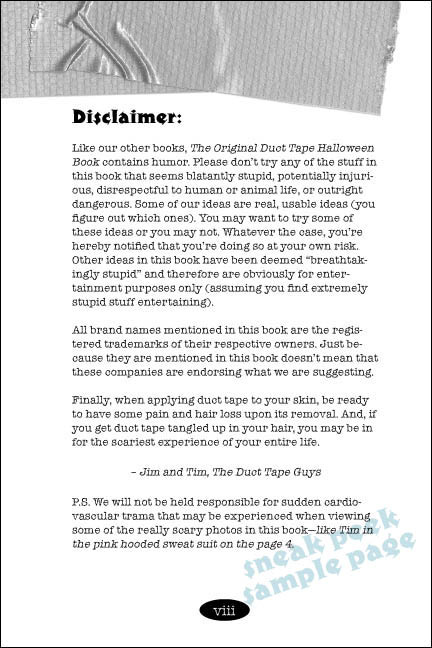 It's full color from cover to cover. You'll love it!